Looking for a light, fresh, all purpose scrub for clients this season? 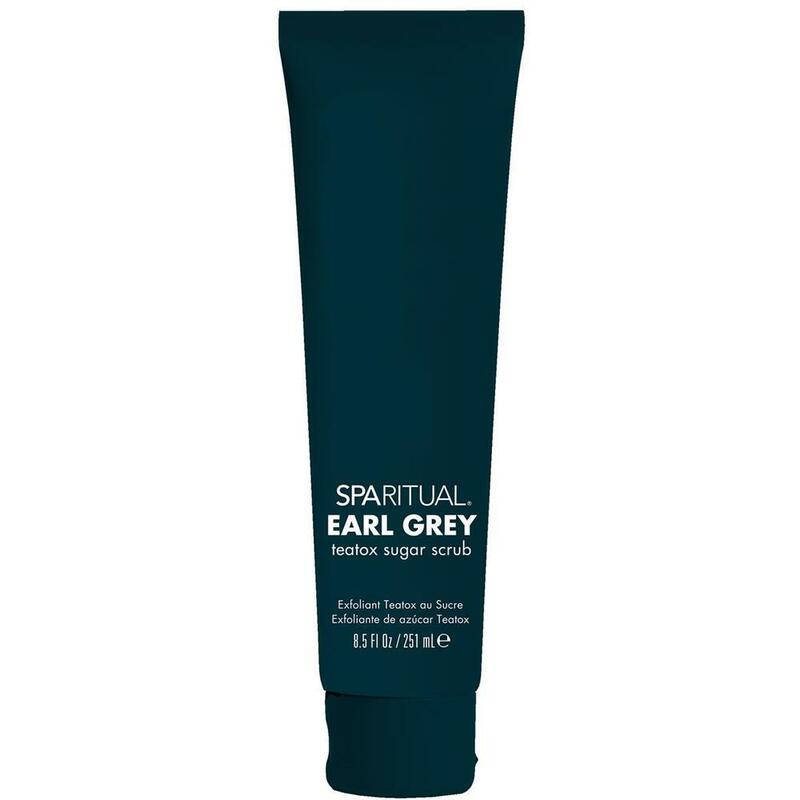 SpaRitual Earl Grey Teatox Sugar Scrub is the way to go! I tried this out today and was amazed at how lovely the scent was, not overpowering or too light. Being a sugar scrub it was perfectly gentle making it great for use on hands, feet and body! It applied smoothly, no greasy or oily feeling at all! Worried about removing due to lack of sink access in the room? This removes easily with a spray bottle and hot towel, even just the hot towel may do the trick! After just a few moments, the one hand I tested it on was visibly smoother and softer feeling than the hand I did not use this on. Aside from how soft and smooth, take a look at the ingredients and their benefits! Organic Black Tea Extract: antioxidant (polyphenols); slows aging, soothes, and reduces inflammation. Organic Marigold Extract: antioxidant (flavonoids); soothes, reduces inflammation, irritation, and promotes healing. Organic Bergamot Essential Oil: antioxidant (polyphenols); helps reduce anxiety and lift mood, relaxes muscles and reduces soreness. Organic Orange Essential Oil: antioxidant (Vitamin C); reduces inflammation and slows aging. This will quickly become a client favorite for retail! A Blueberry A Day Keeps Wrinkles Away! Berodin Aquamarine Wax is Heating Up! Mask Spotlight:Sulfur for oily skin! Stay Calm and Massage On! How Big Is Your Facial Wipe? When I Dip, You Dip, We Dip! Empty Tins - Get 'em! Sore From Too Much Summer Fun In The Sun? Dry Summer Skin? Hydrating Avocado To The Rescue!